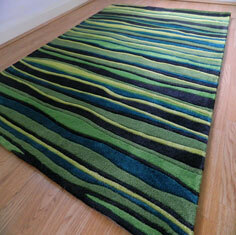 Laker Rugs - A collection of handmade, modern rugs at a low price point. Not only does our Laker collection offer value for money, it also offers high quality and jaw dropping designs. Laker rugs are handmade in China from soft polyester yarn, the pile is deep and textured. Bespoke sizes are available to order. Spruce up your interior space with a Laker rug!